From cybersecurity to healthcare, today's issues all involve STEM (science, technology, engineering, math), but matter to people beyond those fields. Understanding STEM is crucial, but not everyone needs (or wants) to be a scientist! Plus, it's hard. That's where science communication comes in. Science communication is all about making big ideas interesting and clear for different audiences. It can be challenging, but everyone's an expert on some topic, and anyone can practice it! 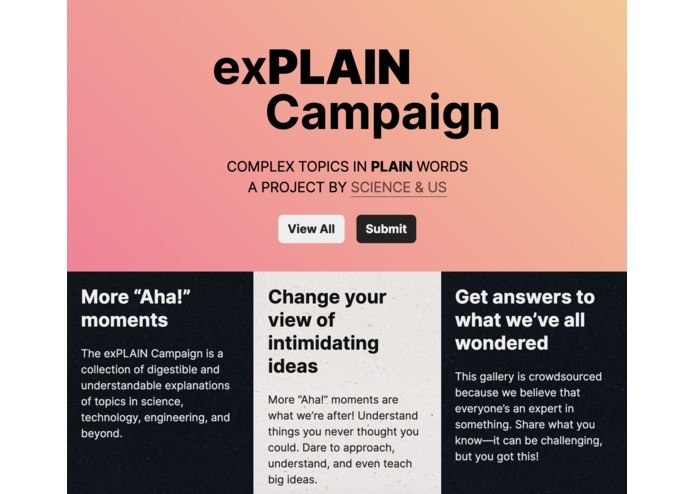 Don't let me just tell you what science communication is—let the exPLAIN Campaign show you: complex topics in plain words. 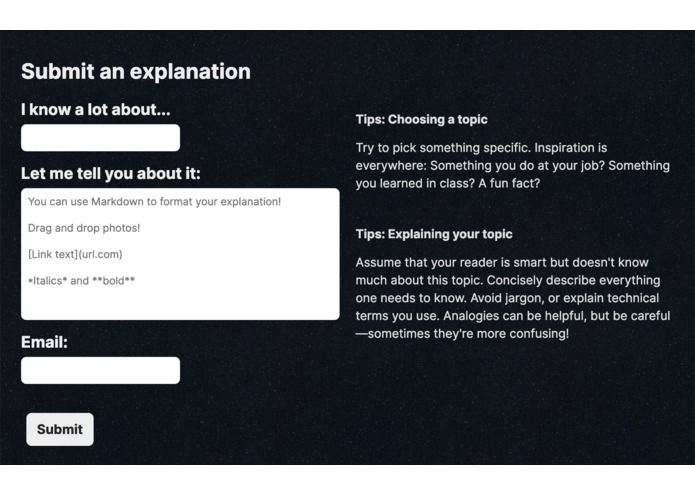 The exPLAIN Campaign is a crowdsourced collection of topics and bite-sized, crystal-clear explanations. Topics will focus on science and technology, but can really be anything. This was my first real Django project! Passwordless authentication before being able to submit? Market the site to get real submissions!